For today’s deals roundup, we’ve included a bunch of headphones and earphones in the list which can be purchased under Rs 1,000 on PaytmMall. The list includes IEMs from brands like Skullcandy, Phillips, Sennheiser and more. If you’re looking forward to purchasing a headphone this month then the deals on PaytmMall may interest you. This list includes headphones under the price tag of 1K from brands such as JBL, Skullcandy, Sennheiser, and more. The boAt Bassheads 100 in-Ear comes with an in-line microphone that enables users to take calls and manage audio. The earphone comes with three ear-tips that helps you find the right fit for your ear. You can purchase the device here. The Sennheiser CX 180 is a popular device, which features passive noise cancellation that can block the outside ambient noise for a better auditory experience. Moreover, Sennheiser provides a two-year warranty that does not cover physical damage. You can purchase this device here. The Philips She1455 earphone sports an integrated mic and comes with an in-line remote that let users answer/reject calls. It comes with three interchangeable silicone ear tips and a 1.2m long cable for comfortable listening. You can purchase this device here. The JBL T110 earphones come with a tangle-free flat cable and the box includes three sizes of ear tips - small, medium, and large. It is equipped with a 9mm dynamic driver and a 3.5mm standard audio jack. You can purchase the earphones here. Skullcandy claims that the S2DUDZ-003 earphone offers a complete in-ear seal for restricting the outside ambient noises. 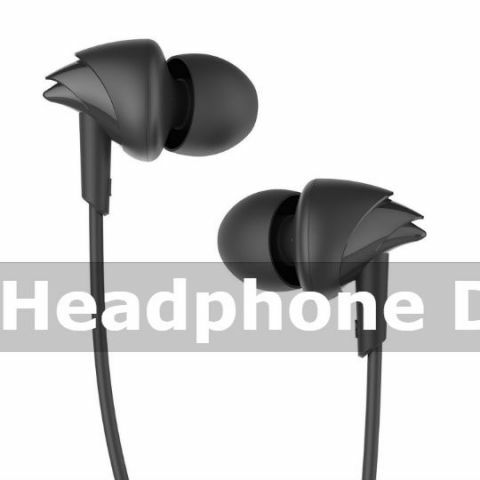 The earphone features 10mm dynamic drivers and has 16-ohm impedance and comes with three ear tips to select from. Check out the device here. Best Headphone over the ear under 1000. Sir, best earphone under rs. 1000. Want to buy a good headphone under rs 3000?? ?